I love the BBC for many reasons. One of them is Star Trek: TNG. My favorite character is Data because he’s always curious about the human condition. Last night i was watching Nemesis and then later the 2009 J.J. Abrams version and i noticed something. 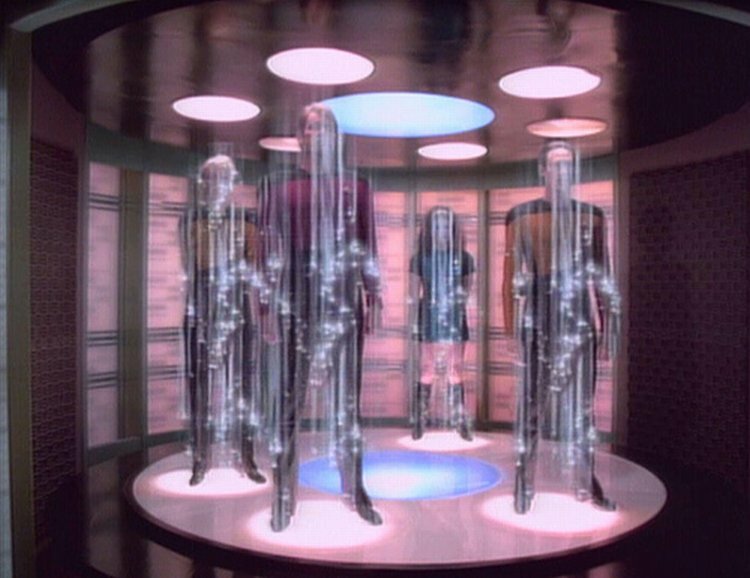 The transporter beam lights went from vertically dematerializing your matter in TNG to a horizontal swirl in the lastest film. Since the 2009 film was like a prequel to late 60’s era shows, did the technology begin with horizontal swirling and then the vertical lift? Or was the horizontal swirl an improvement in film editing tools in comparison with the other adaption’s technology? Now, although i would categorize myself as a trekkie, i am not at the hard-core-fan level yet. That’s the point where you can name the date Elementary, Dear Data first aired. I am merely a liker and observer . . . a very, detail-oriented observer.